I'm going to Caesar's Palace this weekend. And the Palms Casino. I'll be flying in to McCarran International Airport. But I won't actually be in Las Vegas. 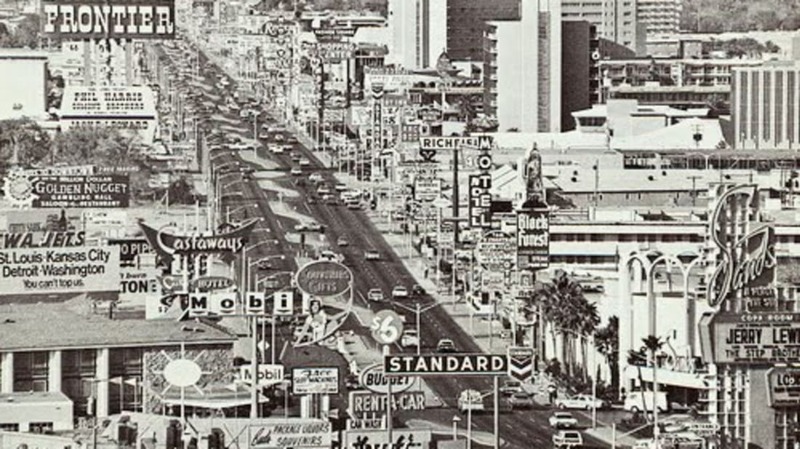 What is arguably the most famous part of Las Vegas - the Strip - isn't actually even a part of the town. And neither is the "Welcome to Fabulous Las Vegas" sign. Those iconic Vegas landmarks are really part of Paradise, Nevada. The Las Vegas Monorail that goes between the MGM Grand and the Sahara (or what was the Sahara until a couple of days ago) never enters Las Vegas at all. In fact, it connects the unincorporated townships of Paradise and Winchester. There's a boundary map about halfway down this page that shows you exactly what is considered Paradise (ha). Though Paradise and Winchester (which used to be called Paradise A, and what is now Paradise was Paradise B) are unincorporated areas completely separate from Las Vegas, the United States Post Office considers it all part of Sin City, which is why you'll see that all of the hotels and businesses on the Strip have Las Vegas addresses. Glitter Gulch, AKA Downtown or Fremont Street, is actually in Las Vegas.